VIDEO! 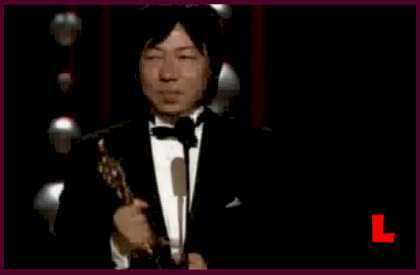 Watch again video of the Oscar win by Kunio Kato shouting “Domo Arigato Mr Roboto” ! La Maison en Petits Cubeswon Best Animated Short at the Academy Awards tonight. Domo Arigato Mr Roboto speech clearly won Best Short Speech for the Oscars. The reference is to the 1983 album by Styx “Kilroy Was Here” that hit number 3 that year. And now two decades later it’s the most talked about clip from the show!